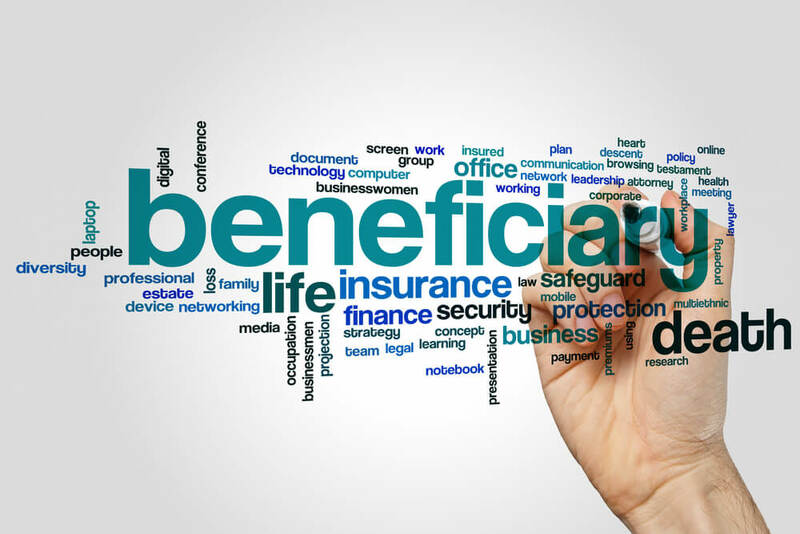 InsuranceFundi | When would your beneficiary not get your life insurance? When would your beneficiary not get your life insurance? Why do we take out life insurance in the first place? Most of us will answer that by saying we want to leave our families debt-free and possibly replace our income. But there is another reason for taking out life insurance and that has to do with the bank refusing to lend us money unless we cede a life insurance policy to them. There are two ways for us to leave life insurance to our families. The first, and best way, is to nominate someone (or more than one person) as your beneficiary. It’s precisely this last point which throws a spanner in the works. In a perfect world, your bank would trust you completely (Aren’t they already trusting you by lending you money?). But we don’t live in a perfect world, and the bank wants to know for certain they’ll get their money back if you can no longer pay the loan. If you’re still alive, and stop paying, they simply take the house back (which is still a mission for them). But what if you die? What better way is there than for them to demand you take out life insurance? But this now leaves the bank with a problem. You see, in the past the bank knew you were paying your life insurance because it was held with them. If you took out life insurance through another company, how would they know whether you cancelled in the meantime? They got around this, by making it one of the conditions of the loan, that you cede your life insurance policy to them. And they’re perfectly entitled to do that. How does a cession work? Absolute means that the cession is permanent, and that the person you’re ceding the policy to (known as the cessionary) becomes the new owner of the life insurance. In this article we are going to ignore this type of cession. A security cession, on the other hand, is temporary and only remains in place until the debt is paid back. The owner of the policy (known as the cedent) hands over their rights to any payment to the bank. Right off the bat we can see that the cessionary is now first in line when it comes to receiving the life insurance benefit. How do you go about ceding a life insurance policy? In practise the policy owner informs their insurer that they wish to cede their policy to the bank. The insurer sends a cession form which needs to be completed by the policy owner and the bank. A bank stamp on the cession form is usually required as proof. The policy owner then returns the form to the insurer who records the cession on their records and sends confirmation of the cession to the policy owner. Once the debt is paid back, the bank cancels the cession and returns the policy document to the policy owner. The policy owner then sends the cancellation of cession document to the insurer who then cancels the cession and send confirmation of the cancellation. But what if you only owe R250,000 and the life insurance is worth R500,000? The bank is only entitled to the amount owed to them. When the life insurance pays out, the bank will receive their portion, and your beneficiaries the remainder. If the cession still exists at the time of death, and the debt has been fully repaid, then the responsibility lies with the insurer to make certain that the proceeds pay to the nominated beneficiary, and not to the bank. Be quite clear on the reason why you took out life insurance in the first place. For instance, the person taking out a million Rand’s worth of life insurance because they wish to set up a Testamentary Trust in their Will, shouldn’t cede that same policy to the bank. Rather take out another policy to take care of the debt. It’s often worthwhile taking life insurance with the bank if no medicals are required in order to get the life cover. Interestingly, the life insurance you cede to your bank is viewed as property in your estate. And since all property is subject to estate duty, there is the very real possibility of this attracting estate duty. The beneficiary, in this case the bank, is liable for the estate duty, but I don’t think they’ll let you get away with this one. It would make sense to take out slightly more life cover to compensate for any potential estate duty. A better alternative is to leave the life insurance to your spouse. That’s because any assets left to a spouse are exempt from estate duty. But this only works if the bank allows it. If none of the above apply, then you’re good to go on the new scheme.